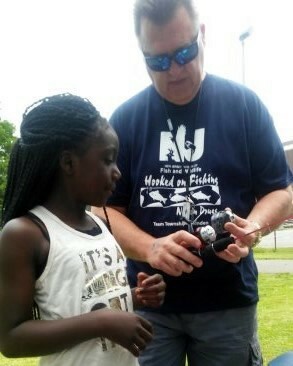 (17/P51) TRENTON – The Christie Administration hopes to hook people on a favorite recreational pastime in New Jersey with free fishing and a statewide Youth Fishing Challenge on Saturday, June 10. A second free fishing day is planned for October. The 2nd Annual Hooked On Fishing – Not On Drugs Program’s statewide Youth Fishing Challenge, offered by the DEP’s Division of Fish and Wildlife, has a dual purpose: to introduce families to the state’s outstanding freshwater fishing, and to encourage youth to avoid the dangers of drugs, alcohol and tobacco by instead pursuing fun activities such as fishing. The Hooked On Fishing – Not On Drugs Youth Fishing Challenge is open to participants age 20 and younger. Winners are eligible to receive prizes for the fish they catch (rules, age requirements and time of event will vary depending on the challenge location). Participants should register with the host site and must be present at the end of the event to claim prizes. Parents and guardians are encouraged to enjoy a free day of fishing during the challenge, but are ineligible for prizes. Free Fishing Days on June 10 and October 21 is open to anglers of all ages who can fish without having to buy a license or a trout stamp. Other regulations, including size and daily catch limits, will remain in effect both days. Hooked on Fishing – Not on Drugs is an interdisciplinary, hands-on youth fishing education program for school-aged children sponsored by the Division of Fish and Wildlife. The program works to redirect youth from the temptation of using drugs, alcohol and tobacco to socially positive activities such as kayak fishing, learning about the value of clean water, and supporting community service by doing stream cleanups and planting trees. 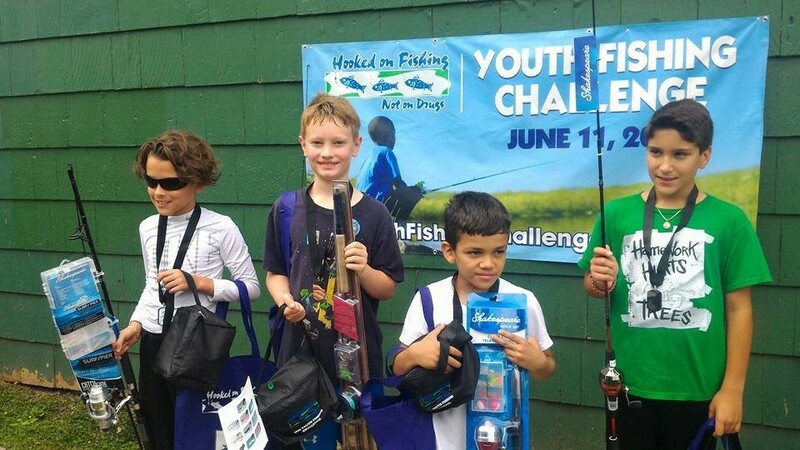 For information about the Youth Fishing Challenge, including event locations, registration information, rules and an event flyer, visit: www.youthfishingchallenge.nj.gov. Each hosting organization/location may have its own rules or “need to know” information. Participants are asked to check directly with the host location. For more information on Free Fishing Days, visit: www.njfishandwildlife.com/ffd.htm. Visitors will find three online regional brochures to locate lakes and ponds with public fishing access close to home. The brochures contain information on each water body’s acreage, nearest town, site amenities, boat and shoreline fishing, fish available and fishing tips for each species.